and serve as a voice of the Asian American business community on statewide issues. Membership in CAABA-CAL is open to Asian American businesses and trade associations who agree to abide by the Articles and Bylaws of the Council and whose application for membership is approved by three quarters vote of the current member associations. the entry and expansion of business opportunities with major American and Pacific Rim corporations for Asian American businesses. publishes news letters for their member business associations that is distributed widely to public and private procurement departments to increase business opportunities. CAABA/CAL holds regular meetings with corporate executives and government officials to review the implementation of policies and programs directed toward increasing Asian American business participation. 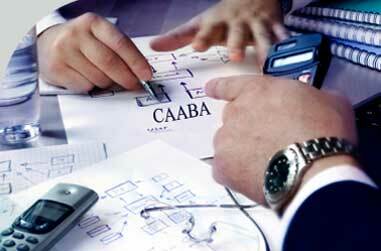 CAABA/CAL develops policies conductive for small Asian Americans businesses. has emphasized the appointment of Asian American business leaders to policy-making boards and executive positions as a primary concern in the advancement of the Asian American business community. Access to publicly elected officials is also essential in assuring that Asian American rights to equal opportunity are not abridged. Copyright © 2007 - 2019, Council of Asian American Business Associations. All rights reserved.